International Holocaust Remembrance Day is on January 27th. It marks the anniversary of the liberation of Auschwitz-Birkenau, the largest Nazi death camp. The United States officially commemorates the Holocaust during Days of Remembrance, which is held each April, marking the anniversary of the Warsaw Ghetto uprising. I thought I’d quickly put together a “The Best…” list of sites I’ve used with my students to help them learn about the Holocaust. You might also find The Best Web Resources On Darfur useful, as well as The Best Resources For Learning About The Warsaw Uprising. and The Best Resources For Learning About Genocide. Also, The Best Sites To Learn About Anne Frank. “Auschwitz After 65 Years” is the title of a TIME Magazine slideshow. How Stuff Works has an excellent collection of short and accessible online videos about the Holocaust. Holocaust Remembrance Day is actually recognized internationally on January 27th. Here is a Breaking News English lesson that provides audio support for the text on that day. That lesson, designed for English Language Learners, is followed by an online exercise. The United States Memorial Holocaust Museum has many resources. You can find all their online exhibitions here. The History Channel has an excellent site on the Holocaust. The BBC has a good animation about concentration camps, particularly Auschwitz, but it’s probably only accessible to advanced ELL’s. Brainpop has two good movies –one on the Holocaust and the other on Anne Frank. Unfortunately, you have to purchase a subscription to view them, but they do offer a free trial. Irena Sendler was a Pole who is credited with saving 2,500 Jewish children. Uprising, about resistance in the Warsaw ghetto. The Museum of Tolerance has a lot of resources on the Holocaust for teachers. Another suggestion in the comments section came from Edna, who recommended I include the Educational Materials from the Holocaust Museum in Israel. The New York Times Learning Network also has several good lessons on the Holocaust, as does Teaching Tolerance. Acts of Remembrance: Reflecting on How the Holocaust Is Taught comes from The New York Times Learning Network. Children of war: Holocaust survivors is an Associated Press interactive. Last Folio: A Living Monument to the Holocaust is a slideshow from TIME. Holocaust Remembrances and Memorials is a slideshow from The PBS News Hour. Honoring the 6 million victims of Nazi Holocaust is a slideshow from The Sacramento Bee. Documentary seeks to explain why Albanians saved Jews in Holocaust is from CNN. During the second world war, great composers were imprisoned at the Terezín concentration camp near Prague. They were permitted to perform and compose music – before being sent to their deaths in the gas chambers at Auschwitz. Their efforts were exploited by the Nazis for propaganda purposes, but the legacy of the compositions created and played at Terezín lives on. As London’s Nash Ensemble prepares to take a performance of the Czech composers’ work home to Prague, Ed Vulliamy has spoken to some of the camp’s survivors. Use the navigation arrows and the menu at the bottom of the interactive to read their stories, watch videos and hear some of the music composed by the people of Terezín. iWitness is a pretty amazing multimedia resource on The Holocaust. Holocaust: We Are Witness is from the Sun-Sentinel newspaper. Some Were Neighbors: Collaboration and Complicity in the Holocaust,” is a new and impressive interactive online exhibition from U.S. Holocaust Memorial Museum. Millions of ordinary people witnessed the crimes of the Holocaust—in the countryside and city squares, in stores and schools, in homes and workplaces. Across Europe, the Nazis found countless willing helpers who collaborated or were complicit in their crimes. What motives and pressures led so many individuals to abandon their fellow human beings? Why did others make the choice to help? You can also read more about it at an extensive Education Week article. The Washington Post has published a very ambitious feature, including video and an infographic, to mark the 70th Anniversary of the liberation of Auschwitz. Staying Put and Bearing Witness to the Holocaust is from The New York Times. Remembering Auschwitz: 70 Years After Liberation is from The Atlantic. A lifetime surviving Auschwitz is from The Guardian. The Holocaust year by year is from The BBC. Never too young to remember – International Holocaust Remembrance Day is from The Travelling Teachers, and is a lesson plan for ELLs. Facing History’s multimedia unit on The Holocaust is quite impressive. Teaching the Holocaust: Facts, Emotions, Morality is from Middleweb. Digital technology offers new ways to teach lessons from the Holocaust is from The Conversation. INTERNATIONAL HOLOCAUST REMEMBRANCE DAY 2019: TIMELINE OF EVENTS FROM HITLER’S RISE TO POWER TO NUREMBERG TRIALS is from Newsweek. The Holocaust Explained is a site designed for young people. Timeline of Nazi Abuses is from PBS. The UNITED STATES HOLOCAUST MEMORIAL MUSEUM has lots of interactive maps. Thanks to Melanie Bean, I learned about an impressive interactive timeline of the Holocaust, accompanied by teaching materials. It’s from Echoes and Reflections, an education organization sponsored by the ADL and USC Shoah Foundation, along with others. I’ve just gone to a few links so far and WOW- once again you’ve done a fantastic job collecting resources and creating a very worthy ‘best of’. On Remembrance Day last year I wrote a blog post with my reflection on visiting the Holocaust Museum in Israel, and I’ve shared it with the link to my name above. I’m reading Number the Stars with two of my sixth-grade classes. Some of these resources will be wonderful additions to our study of life during the Holocaust. Thank you! The Museum Fellowship Teaching Resources site at http://mandelproject.us offers lesson plans and book reviews which have been submitted by teachers who have been affiliated with the United States Holocaust Memorial Museum. The materials may be used by educators seeking meaningful educational resources about the Holocaust. Lesson plans have been successfully field-tested and include additional online support documents. Great resources as always. I’d just like to add a few things. By far the most important book to me on the holocaust is Martin Gilbert’s exhaustive catalogue “The Holocaust”. No embellishment, just facts of what happened. It might also be useful to think about Jane Elliot’s ground breaking Blue Eyed / Brown Eyed experiments with her own Grade 3s – done many years ago. But the best thing I’ve found for teaching is to make it real and bring someone to class that has a personal connection and story to tell. Or have students do a personal biography of a person who lived through the Shoah. 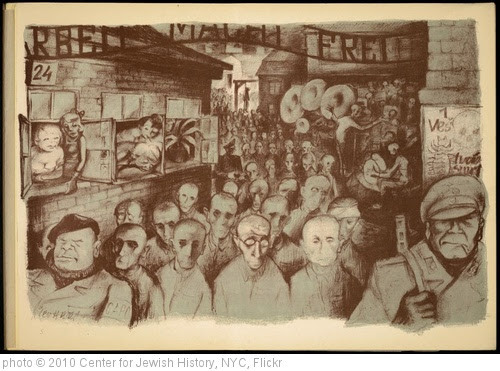 Thank you for writing and sharing that annotated best of the Holocaust Education sites. It’s far more helpful and practical than just a long list from prominent and international museums that I recently saw. I’m going to go ahead and share your posting on FB and Twitter too. Thank you for this wonderful list of resources. There is another one I would like to share with you: IWitness is from the USC Shoah Foundation Institute, and it is an amazing resource that allows users to interact with testimonies of witnesses and survivors. In fact, recently Steven Spielberg announced an exciting initiative – a contest for students called the IWitness Challenge that inspires students to take on good works in their communities, inspired by the legacy of the testimonies in IWitness. We were proud to have him make the announcement at Chandler School, where I teach an elective with IWitness. I think it’s a transformative tool, and something anyone interested in teaching about service learning, history, psychology, the Holocaust, storytelling, or digital video production would want to see. Where do you find it? Iwitness.usc.edu. http://www.centropa.org has many short and inspiring films which document the stories of individuals before during and after the holocaust. In addition they have lesson plans and accompanying materials in several languages. Definitely a fantastic resource for Yom Hashoah and anyone teaching 20th century European history.